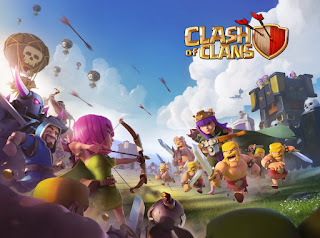 Tencent Holdings Ltd., the Chinese internet mogul popularly known for the social messaging app WeChat, together with its partner buys a majority stake at the Finland-based game developer Supercell, known for the worldwide hit mobile apps Clash of Clans, Clash Royale, Hay Day, and Boom Beach, for a whopping 8.6 billion dollars. Last year, the Japanese telecommunications giant Softbank Group Corp., bought a 73% stake of Supercell at an undisclosed amount, this share together with the shares of the current and former of employees of the Finish company, will compose the total 84.3% stake that will be acquired by Tencent. The purchase will position Tencent as the global leader in mobile and PC games, as it also owns Riot Games, the Los Angeles-based developer behind the world's highest grossing personal-computer combat play title League of Legends, as well as stake in Activision Blizzard, the team behind World of Warcraft, and Epic Games, the maker of Gears of War.